1. 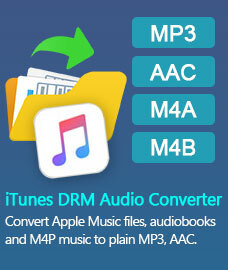 Go to Mac app store to buy PDFMate PDF Converter and install the program on your Mac. 1)	Locate and launch the downloaded file to start the installation. 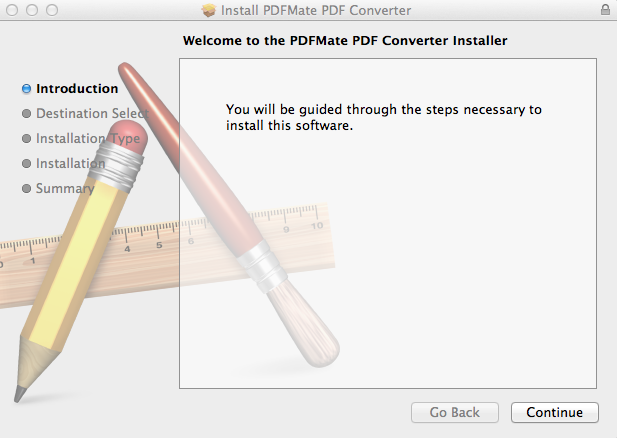 2)	Click Continue on welcome to the PDFMate PDF Converter Installer. 3)	In the destination select part, select the location where PDFMate PDF Converter is going to be installed and click Continue. 4)	On the standard Install on “…” Screen, click install if the summary is showing expected description. Otherwise click go back to reset. 5)	After the program is installed correctly, Click close on the below screen. 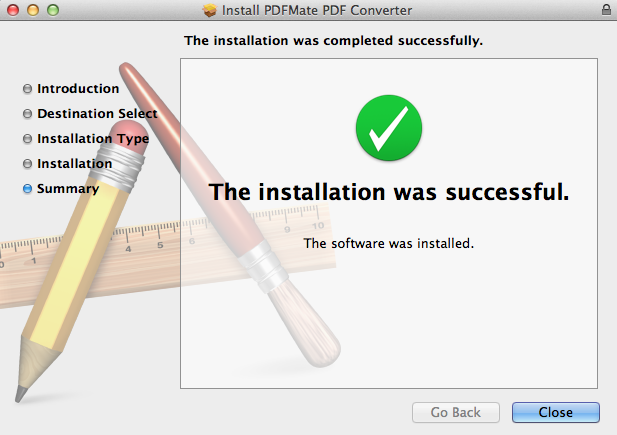 Then you have finished installing PDFMate PDF Converter (Mac Version). 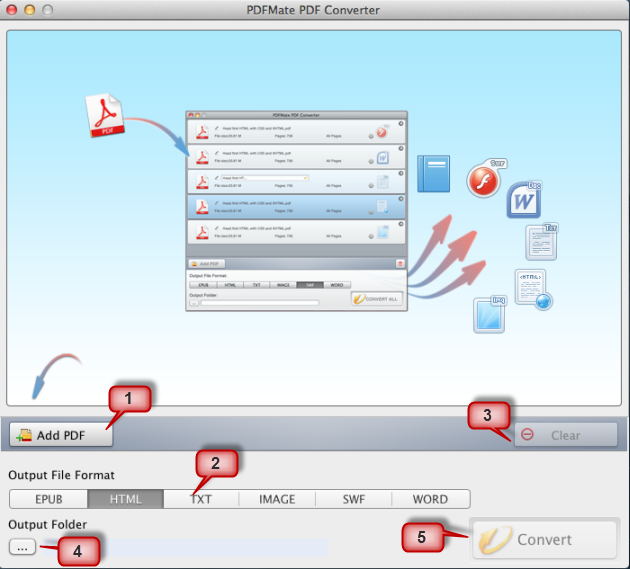 1 Click to add PDF files to PDFMate PDF Converter. 2 Click to choose output file format. 3 Click to clear all the files you have added. 4 Click to choose output file destination. 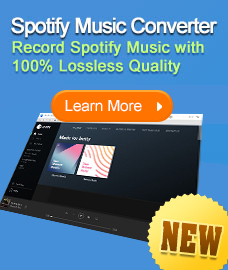 5 Click to start conversion.